MPs are being asked the wrong question on Syria: Whether or not to bomb ISIS. ISIS must be defeated, for the sake of people in Syria as well as for the safety of people in Europe, of people in Britain. But the greater threat to Syrians comes from Assad rather than ISIS: The number of civilians killed by Assad forces is over 2½ times the number of UK civilians killed in World War Two. The number of Syrians killed by ISIS is a very small fraction in comparison to the industrial scale of Assad’s slaughter. As long as the Assad regime remains, the terror threat will remain. Civilian protection should be a primary concern in any military action by the UK. 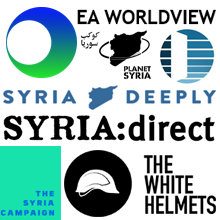 In the Syrian conflict, where so many have already been killed, and where so many civilians are still being killed by Assad and his allies, it is not enough for the UK to merely seek to minimise additional civilian casualties at the hands of UK forces; as an active participant in the conflict, the UK must prioritise the protection of civilians being killed by Assad forces. To protect civilians, MPs need to explicitly back concrete action to end Assad’s air attacks on civilians. The need to stop Assad’s bombing is morally fundamental; it is also strategically essential. Not only do we believe it is immoral to fly missions in Syria against ISIS while leaving the even greater killer, Assad, free to bomb civilians en masse, we also believe that any war against ISIS that doesn’t put the needs of the Syrian people first will be a failure that can only prolong their suffering. The government assertion that there are 70,000 moderate fighters in Syria able to fight Assad has been greeted by disbelief in some quarters. The truth is that these fighters do exist, and likely in greater numbers, but they are being bombed by Assad, and now by Russia. They are defending towns and neighbourhoods under attack by Assad and by his Russian and Iranian allies. Without action to stop Assad, most are not available to join the fight against ISIS. To empower Syrians to defeat ISIS, MPs need to explicitly back concrete action to end Assad’s air attacks on civilians. To stop Assad’s killing, the UK has placed its hopes in “putting Britain’s full diplomatic weight” behind the Vienna talks. In pursuing a diplomatic path, the UK has long called on Assad’s key backer, the Russian government, to pressure Assad to stop bombing civilians. 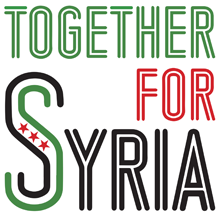 Instead Russia has joined in bombing both moderate rebels and Syrian civilians. Clearly Britain’s full diplomatic weight is not enough to tip the balance. To empower UK diplomacy, and to enable a political solution, MPs need to explicitly back concrete action to end Assad’s air attacks on civilians. Neither the government nor the opposition have come to grips with the humanitarian or strategic imperatives of the Syrian crisis. MPs must reject any use of Syria as a proxy war for UK domestic politics, and instead demand measures that protect Syrian civilians, enable the defeat of ISIS, and thereby safeguard the security of the UK. Any UK military action in Syria must include concrete measures to protect Syrian civilians. The minimal action required is a no-bombing zone. This means issuing an ultimatum stating that if the Assad regime does not comply with UN Security Council Resolution 2139’s demand to “immediately cease all attacks against civilians, as well as the indiscriminate employment of weapons in populated areas, including shelling and aerial bombardment” then the UK will enforce the demand by striking Assad regime military assets (for example air bases) complicit in breaching Resolution 2139. This would not require widespread attacks on Syrian air defences as some have suggested, nor would it require the use of ground forces, as enforcement strikes can be carried out with precision weapons launched from beyond Syrian air space. The Syrian Network for Human Rights has documented 180,879 individual civilians killed by Assad’s forces. The number of Syrian civilians documented killed by ISIS is 1,712. 3: The proposed use of force must be necessary and proportionate to the aim of relief of humanitarian need and must be strictly limited in time and scope to this aim (i.e. the minimum necessary to achieve that end and for no other purpose). The UK approach was relied upon to justify the use of force on three occasions: (i) in protecting the Kurds in Northern Iraq in 1991; (ii) in maintaining the No Fly Zones in Northern and Southern Iraq from 1991; and (iii) in using force against the Federal Republic of Yugoslavia in relation to Kosovo in 1999. By Charles Lister, Visiting Fellow at the Brookings Doha Center, author of The Syrian Jihad: Al-Qaeda, the Islamic State and the Evolution of an Insurgency. Why should Assad have supported Qaida in Iraq or ISIS in Syria? You had better give some references to support such statements because otherwise it looks as if they are very unlikely to be true. Furthermore, if you attack your government, for whatever reason, surely you must expect retaliation. And you say that Assad initiated the violence. What reason could he have for doing that? As Fisk said today in the Independent, "aren’t the 'moderates' supposed to be the folk who don’t carry weapons at all? ". Unless the wording and references on this website are greatly improved it will look to most people as if it was hastily written by Cameron himself, to allow him to go bomb places like Raqqa, where either more civilians will be killed than ISIS, or ISIS will not suffer at all and probably gain many recruits. I am not a specialist in this subject. I know only what I have read in the UK media - but this is how things look to me from that information, and they will look the same to many others. Andrew: Your speculation on the Syrian governments "right to retaliate" is completely negligent of the conditions which gave rise to the conflict. For months the unarmed protesters were gunned down, kidnapped and tortured, subjected to the worst pains and humiliation. It is estimated the Syrian forces had killed some 8000 people before the opposition movement took up arms. Why this, you ask? Because the people were demanding reforms and the intensity of the 2011 Arab uprising frightened the dynastic totalitarian regime and it knew only one way to respond. See my long list of video's and I ask you to actually watch them all. It will change your perspective completely. By Martin Chulov, The Guardian. Earlier incarnations of Isis had dabbled with the Ba’athists, who lost everything when Saddam was ousted, under the same premise that “my enemy’s enemy is my friend”. But by early 2008, Abu Ahmed and other sources said, these meetings had become far more frequent – and many of them were taking place in Syria. By Christoph Reuter, Der Spiegel. In 2003, the Damascus regime was panicked that then-US President George W. Bush, after his victory over Saddam Hussein, would have his troops continue into Syria to topple Assad as well. Thus, in the ensuing years, Syrian intelligence officials organized the transfer of thousands of radicals from Libya, Saudi Arabia and Tunisia to al-Qaida in Iraq. Ninety percent of the suicide attackers entered Iraq via the Syrian route. A strange relationship developed between Syrian generals, international jihadists and former Iraqi officers who had been loyal to Saddam -- a joint venture of deadly enemies, who met repeatedly to the west of Damascus. At the time, the primary aim was to make the lives of the Americans in Iraq hell. Ten years later, Bashar Assad had a different motive to breathe new life into the alliance: He wanted to sell himself to the world as the lesser of several evils. Islamist terror, the more gruesome the better, was too important to leave it up to the terrorists. The regime's relationship with Islamic State is -- just as it was to its predecessor a decade prior -- marked by a completely tactical pragmatism. Both sides are trying to use the other in the assumption that it will emerge as the stronger power, able to defeat the discrete collaborator of yesterday. Conversely, IS leaders had no problem receiving assistance from Assad's air force, despite all of the group's pledges to annihilate the apostate Shiites. Starting in January 2014, Syrian jets would regularly -- and exclusively -- bomb rebel positions and headquarters during battles between IS and rebel groups. In battles between IS and rebels in January 2014, Assad's jets regularly bombed only rebel positions, while the Islamic State emir ordered his fighters to refrain from shooting at the army. It was an arrangement that left many of the foreign fighters deeply disillusioned; they had imaged jihad differently. A Syrian businessman described as the "middleman" for oil deals between Isil and Bashar al-Assad's regime will be targeted for European Union sanctions on Saturday. The listing of George Haswani, the owner of HESCO engineering company, sheds more light on financial links between Syria's regime and the Islamic State of Iraq and the Levant (Isil). In public, the two belligerents claim to be sworn enemies. Isil has vowed to topple Mr Assad and transform Syria into an Islamic "Caliphate". But the rise of the jihadist movement has served Mr Assad's interests by allowing him to pose as an essential bulwark against Islamist terrorism.